Check out the NEW Philips Outdoor Center Website! 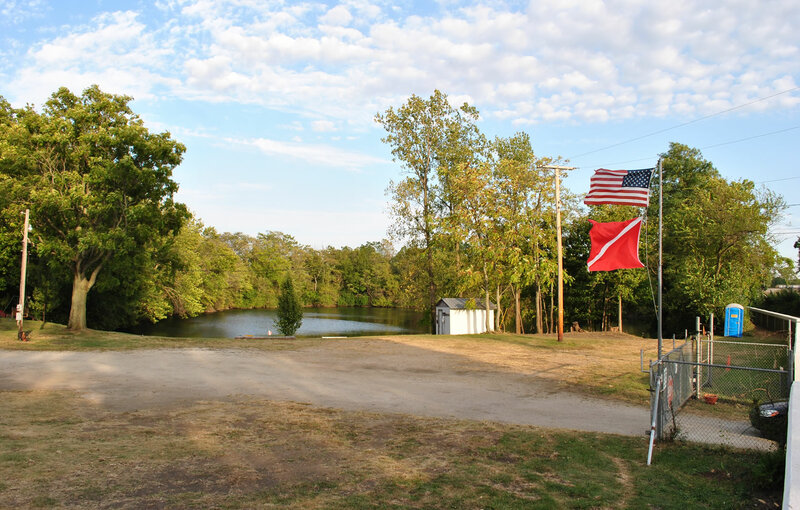 Philips Outdoor Center is a non-profit dive facility and nature center with an emphasis on environmental education, safety education, and recreation. Philips offers many low cost educational opportunities for local school children and college students as well as the general public. Muncie Sand and Gravel quarry was mined from about 1890 up to 1917, when available area ran out it was allowed to flood. 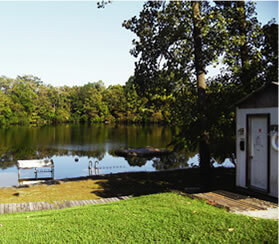 From 1922 until 1954 it was operated by the Philipps family as a swimming area. Several wooden cages floated on barrels provided pools of various depths. The six-acre property was purchased by the City of Muncie in 1954 and a concrete pool was constructed. The city pool was operated until 1961 when vandalism caused closing of the facility. The Muncie Fire Department used the area for fire training and equipment testing during the 1970s and the Philips Outdoor Center was sold to a private individual in 1995. 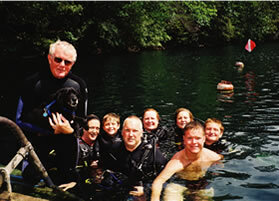 Scuba training and recreational diving began in 1960 and continues to the present.